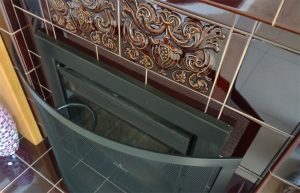 This fireplace installation guide is intended for a reference when installing tiled fireplaces and push-to hearths. 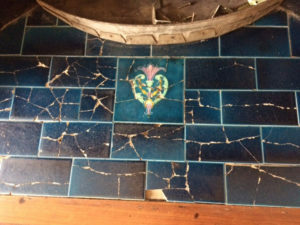 The following guide is based on the many years of experience H&E Smith have, based on our manufacture of fireplace tiles and the advice we have provided to our customers. This guide is intended to be an overview and we strongly recommend that you also take the advice of competent builders, chimney sweeps or chimney lining specialists. We suggest that if you have any concerns about local building regulations or the installation of your Fireplace, you seek out guidance from these professionals. Fire Installation basics – Check the Flue! When setting about a new fireplace installation, you need to start with the flue. 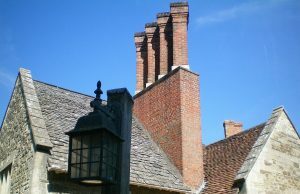 This term describes the (usually) vertical shaft that draws the smoke and fumes up from the Fireplace, through the chimney and on up to the ‘terminal’ – the exit point for the smoke, usually a chimney pot. This is a vital step and must not be overlooked. 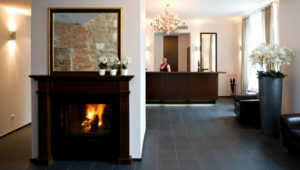 Before you consider purchasing a new fireplace it is EXTREMELY important that you check the flue is fit for purpose. In short it must not leak! Due to the gasses produced by an open fire, leakage through and unsound flue can be life threatening. Finding out where the smoke goes is foundational to ascertaining the soundness of a flue. 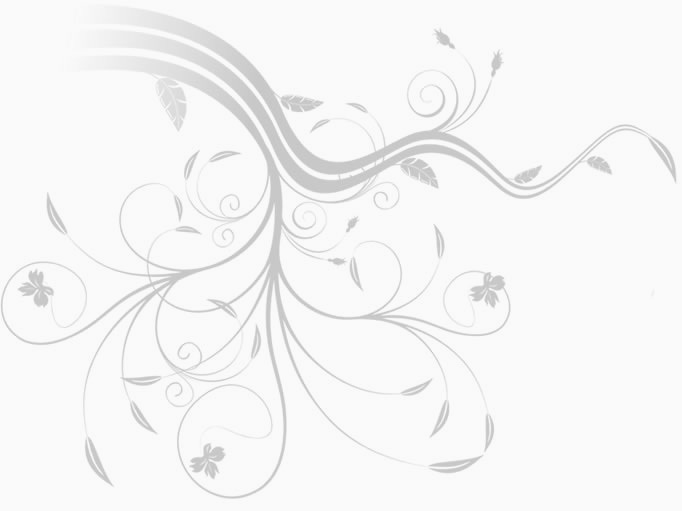 The typical method for testing the soundness of a flue is called the smoke test. 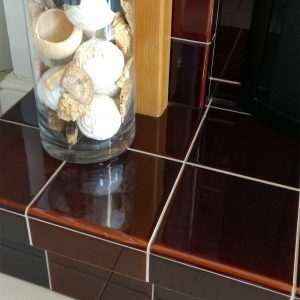 While there is technically nothing to stop you carrying out this test yourself, FireTile advise that you have an experienced individual carry this test out prior to fireplace installation. Experienced tradesmen such as fireplace fitters, builders and particularly chimney sweeps will be able to help confirm the soundness of the flue and know that the smoke test has been carried out properly. For this reason, you might want to call in a local chimney sweep to have your flue cleaned prior to any installation work so that the whole job becomes less messy. These tradesmen will frequently be happy to carry out a smoke test for you while they carry our their work for you. This smoke test is a very straightforward task. A smoke pellet is burned in the fire opening and careful attention is payed to the direction the smoke follows. 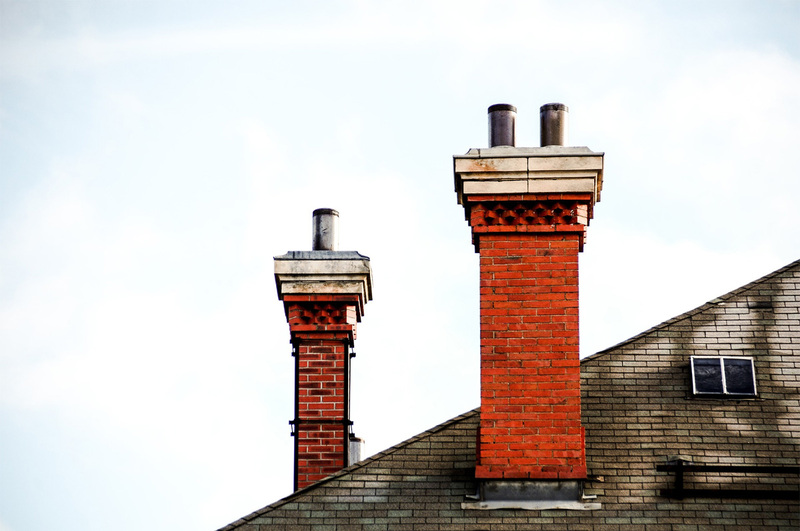 If the chimney is sound, the smoke should be drawn up through the flue and should emerge from the correct terminal only (often just one chimney pot). If this happens without smoke leakage it is a strong indication that your flue is sound and fit for purpose. When testing a the soundness of a chimney we recommend that you consult a qualified chimney sweep or building professional. While the smoke pellets burn, the person carrying out the test should check each of the rooms that the flue passes through. Don’t forget that this check should also include the loft space. The smoke pellets used for this purpose are are designed to be strong smelling so they should be looking for both the signs of smoke and also checking for the scent of the pellets coming through into the rooms. If the smoke from the pellets can get through it is a very good indication that the smoke from a new fireplace installation would be able to do as well. This would have dangerous and potentially deadly consequences. 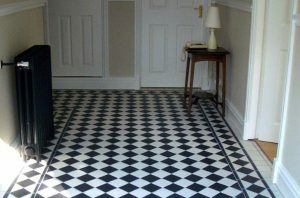 There must be NO leakage into ANY of the rooms either above or below the room where the fireplace installation is intended. As a rule, properties built prior to WWI are likely to have leaky flues. As a significant percentage of the UK housing stock still falls within this group, checking for smoke leaks in imperative. For this reason they MUST be thoroughly checked. 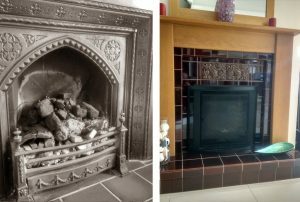 Houses that have had wood or coal fires in over the decades rather than gas fires may have suffered damage to the flue as a result. As most houses constructed after WWII had gas fires fitted these properties and much more likely to have sound flues. This observation does not mean a guarantee that houses that have had gas fires over the years will not have had flue damage. For this reason we recommend that you should always check the flue prior to any fireplace installation project. If a leak is found, don’t give up! A good chimney sweep may be able to assist and experienced builders are very likely to have the know-how to repair the flue. These are also specialist flue fitting firms available if you find you require their services. 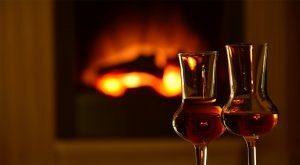 When you move into a property where the fireplace has been built over, you may not know for sure precisely where the fireplace was and a new home owner may find themselves looking at a solid brick wall where the fireplace may once have been. In these circumstances you can remove the vent (if there is one) or just knock a hole in the wall to enable a smoke check to be carried out on the flue. If the smoke will not rise up the flue it may due to the chimney being capped off at the top. In these circumstances, the flue must be uncapped to carry out a flue smoke test. When doing a test in these circumstances, it should be noted that atmospheric conditions can also have a significant effect on the movement of the smoke. If the flue is filled with cold, moist air, the air will actually be heavier that the air that is in the room and this will therefore prevent the smoke from rising. One trick you might try here is to warm the flue up with some burning sheets of paper, a hairdryer or even a blowtorch prior to attempting a smoke test in these circumstances.